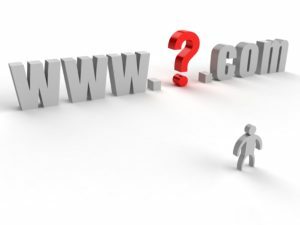 What does your domain name say about you? Has it successfully launched your brand? Does it attract customers, and if so, does it attract the right kind of customers? These are all important questions to ask when choosing or re-choosing the URL that will represent your business, so if you’re looking for tips on picking a winner, here are just six things to keep in mind as you create a domain name. You don’t want your URL to be generic, of course, but many people go too far in the opposite direction in their quest for uniqueness. You don’t want a domain name so complicated or detailed that customers can’t remember it. A good rule of thumb is to imagine someone saying your domain name out loud: How does it sound? Does it roll off the tongue? Does it genuinely describe your business? Sit down and brainstorm a list of keywords for your business. For example, if you deliver produce, your list may include things like “apples,” “bananas,” “fruit,” “delivery,” “fast” and “fresh.” Not only will this exercise get your creative juices flowing and help you choose a domain name, but it’ll also come in handy when it’s time to optimize your site for SEO. Don’t misspell your brand name in your URL. While you might know that your web address is KoolBazketz.com, potential customers might miss out on your stock completely if they search in vain for CoolBaskets.com. The same goes for numbers; 1WishForYou.com is easily misunderstood as OneWishForYou.com, and it’s such a silly reason to lose a sale. Who are you hoping to attract with your website? This can have a big influence on your eventual URL. If you’re courting senior citizens, for example, your language and imagery should be different than a blog targeted at 18-year-old gamers. If you don’t actually know what demographics are visiting your site, use analytics software to monitor your web traffic and extract data about your visitors. The Internet is a big place, and there’s a chance that your domain name has already been picked by someone else. If you really want it, you can make a financial offer to its current owner, but you’ll probably wind up back at the drawing board and trying to come up with another name. Whatever you do, don’t use a trademarked name anyway. That path leads to a lawsuit. Last but certainly not least, if you’re running a city- or state-based business, think about putting your geographic location in your domain name. MattsPlumbingMemphis.com will tell customers more about your company than simply MattsPlumbing.com, and it will decrease confusion if there’s already another Matt out there with a plumbing business. These are just a few things to consider as you choose and reserve domain name. Whether you’re launching a simple blog or a million-dollar ecommerce site, these tips should be enough to make your URL stand out from the competition.